The Malaysian government will abolish fuel subsidies starting December 1. 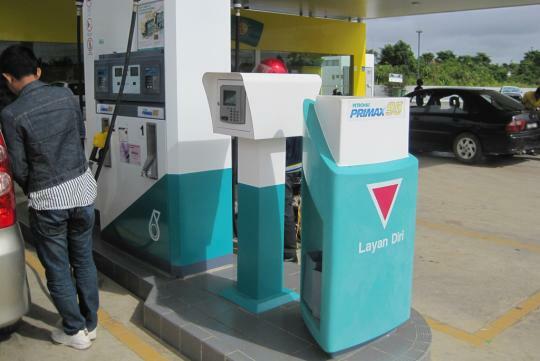 The brief report cited Minister of Domestic Trade, Cooperatives and Consumerism Datuk Hasan Malek as saying that prices of RON95 petrol and diesel will be managed according to a managed float, presumably similar to the current pricing structure used for RON 97 petrol. Fuel prices will be set based on the average of global oil prices in the preceding month. With the current downtrend in crude oil prices, the revised price may not necessarily be higher, but it is still too soon to say. it's still too soon to say, now remove subsidy, then GST, etc etc..
Whatever the case may be, if they're transparent (and consistent) with the formula used to set fuel prices then they're already way ahead of Singapore's system. And if that were the case, I couldn't be happier about that. M club drive to Penang being scheduled. Should be damn shiok going through customs if really no one going through for "small" trips. Regrettably, I know the checkpoint will still be crowded.